SEOUL (Bloomberg) – Workers at Hyundai Motor Co.'s Ulsan plant in Korea have succeeded in stopping production again, just hours after a previous three-week shutdown ended. South Korea's largest carmaker stopped output at the plant on Nov. 15 after workers began a sit-in demanding they be made permanent employees. The automaker then rerouted production at the plant to avoid the striking workers, enabling it to resume plant operations at 50 percent of capacity this morning. But Hyundai was forced to stop production again within hours after workers “disturbed” production, it said in an e-mail statement. The company estimates that the first shutdown cost them 270 billion won ($238 million) and halted the manufacture of 23,937 passenger cars. 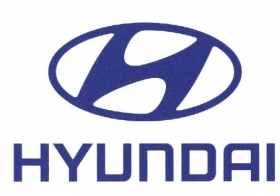 Hyundai wouldn't confirm a Yonhap News report that the striking temporary workers cut power used in the installation of car windows.